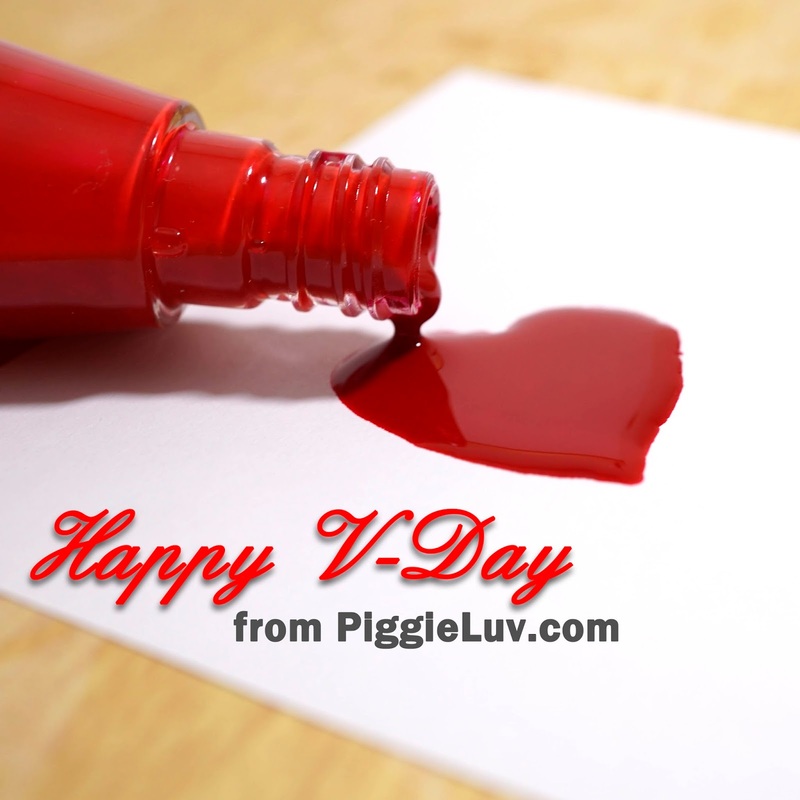 PiggieLuv: Happy Valentine's Day from PiggieLuv! Whether you celebrate Valentine's Day or Single Awareness Day, have a good one! I'm single this year but I'm making my Valentine's Day about more than just romantic love. I want to take a moment to thank a couple of different people. - My fans! I really, REALLY appreciate you looking at my work! There's a few of you who always know what to say, and that's Carmina, Carol, Michaela, Raphaelle, Anita, David, Reena, Michelle and SO many more of you, this list can keep on going! Hahaha and the best one yet: my parents! My mom picked out 10 of my 2014 designs to frame and hang in the living room. Isn't that amazing? PiggieLuv now available on mobile! Valentine's Day nail art: I dig you!